Freemasonry has been a part of San Jose for over 150 years. San Jose Lodge #10 (a blue lodge) was issued a dispensation to operate on 11 July 1850. The first recorded communication of degrees of Scottish Rite Masonry was on 16 May 1883 by Albert Pike and the San Jose Lodge of Perfection #13 (a part of Scottish Rite masonry) was organized on 10 March 1885. The Ancient and Accepted Scottish Rite has maintained a temple in San Jose since 1909 and we have been at our current location since 1984. 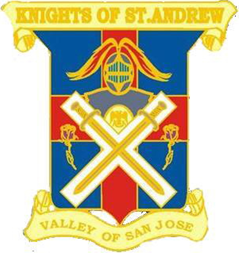 In addition to being a fraternal organization that attracts the best and most respected men from the community, the San Jose Scottish Rite supports many public institutions including police and fire departments. When our facilities are not being used for Rite functions, we make them available for rental. Social & religious gatherings, weddings, conventions, reunions and educational events are all welcome at our facilities. Our charity work is focused primarily on helping children with language and speech disorders. We maintain a clinic on our grounds where children receive treatment free from charge. Find out more! 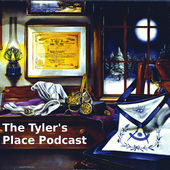 Click the appropriate button to find out more about what you want to know about the Ancient and Accepted Scottish Rite, its history, its goals, its charities or its facilities. In 1982, the members were asked to make donations to Build the Temple. Now 36 years later, the Temple needs some upgrades. We are again asking the Brothers to step up to the plate. The donation levels below are exactly the same as they were back in 1982. Future projects needed include; replacing window coverings throughout the building, building out the old printing room as a modern conference room, building out the warehouse as a members lounge, new floors through out the building. Also we want to expand the size of the Clinic to accommodate more Children. We have over 100 on the waitlist and our space is maxed out. All donations are tax deductible, and you will receive the appropriate plaque and have your name placed on our Donner’s wall. You can make a one time donation or alternatively you can make a pledge that will fit within your budget. And any amount will be gratefully accepted. Please contact the Secretary to Make your donation. Join the Personal Representative in Philadelphia! Deadline to sign up is February 28, 2019!